This solution is the most cost effective long term solution to the lower denture that is continually moving, slipping, ulcerating gums, and generally making life and eating difficult. Two implants are placed in the lower chin area near where the original cuspid/canine teeth were once located. The bone is firm and dense and retains these implants very predictably. Once healed (usually 2-3 months) the denture retentive devices (called locator attachments) are simply ‘screwed tight’ into the implants and the nylon ‘keepers’ are then attached to the lower denture (new or existing if in good condition) which allows the denture to ‘snap’ into place. The nylon keepers come in a variety of strengths or ‘grip’ to allow easy removal to simply clean and rinse around the implants and then securely ‘snapped’ back into place for comfortable and confident chewing. This procedure is done in the office with either local numbing or intravenous sedation is also available. No one goes without the ability to wear their lower denture immediately after the surgical placement or during the healing phase. A message from Dr. Ted Reese: It has happened too many times now to disregard and overlook so I find myself compelled to write and address the issue of ‘All on Four’ implant dentures. This technique and procedure is a marketing endeavor of an implant manufacturing company that has it’s place and provides a wonderful service, but….. like many otherwise good things has been over prescribed and abused in inappropriate situations. The ‘All on Four’ was originally utilized to secure loose and troublesome lower dentures by which four implants were placed into the ‘chin’ area of the lower jaw (as this is often where the only substantial amount of bone is available) and then either a bridge, denture, or ‘hybrid’ implant denture is fabricated to support and retain the lower teeth. When provided to chew against an upper conventional denture this can be a very satisfactory and effective means to restore proper and comfortable chewing. My discouragement has come from seeing too many patients who’ve been recommended this treatment as a panacea for their dental or denture problems. It is often used as a ‘cookie cutter’ solution and then recommended to remove teeth unnecessarily, remove jaw bone unnecessarily, and promise results and longevity that isn’t being delivered. Much of this care is coming from ‘clinics’ set up to mass produce this type of ‘solution’ and it becomes inappropriate treatment or oversimplification of what is really needed to meet the patient's ‘expected’ outcome. For instance, four implants in the upper arch to provide the chewing support for an entire ‘arch’ of teeth is often insufficient to withstand the rigorous chewing forces that lower natural teeth or a lower implant denture provides. In relatively minimal time I’ve seen this ‘solution’ result in loosening of implants or fracture of the implant bridge/denture. Not a problem many patients want to experience from expensive implant therapy that is intended to be more maintenance and trouble free. The bottom line: Ask lots of questions, do your research, seek out options, and understand the limitations and reasonable expectations of what is being recommended before you agree to have teeth removed and implants placed. Implant therapy is a wonderful solution when performed and diagnosed properly. If not, it can be an expensive regret. Dr. Reese is board certified from the American Board of Oral Implantology and has been placing and restoring dental implants for over 30 yrs. He has thousands of successful cases through the years and understands the benefits and limitations of different conditions and implant offerings. Call him today for an implant consultation. Getting rid of dentures for good can take months to complete, but a revolutionary procedure allows patients to get a complete set of dental implants in just one day. Normally, once someone has lost their teeth, they don't have enough bone remaining in their jaw for implants. However, using the latest 3D imaging technology—the "all on four" technique—it takes as little as four hours to put a bridge on just four implants, which are angled to utilize the bone that is available. Living with dentures doesn't have to be the only solution. Are you a candidate for All-on-4? Most likely! Most patients with or without teeth are candidates for the All-on-4 procedure! We utilize cutting-edge 3D imaging techniques to evaluate bone quality, volume & quantity and expertly assess which treatment option(s) will be right for you. We also perform virtual surgery before you are in the chair - meaning you will be able to see your results before the surgery, and each pre-planned step will be executed with the utmost precision. How are All-on-4 dental implants different from normal dentures? As opposed to dentures, All-On-Four dental implants are a permanent set of teeth that look and feel natural. They are permanent teeth that look and feel like natural teeth. All-On-Four dental implants are stable, allowing you to bite with increased force. This allows you to eat all of your favorite foods once again! No more discomfort! Taste and experience your food, as before! There are even more benefits. The presence of the implants in the jaw stimulates the bone, thus preventing further bone deterioration. And there is no more nightly removal and cleaning and no more messy, sticky adhesives! How do All-On-Four Dental Implants compare to traditional dental implants? The All-On-4 procedure uses less implants and requires less bone. It does this by utilizing only 4 implants to replace all teeth on an upper arch, instead of 5 to 8 per arch in traditional implants. The angled placement of the posterior implants of the All-On-4 procedure allow for increased support by using the natural support of your bone. Also, traditional implants often require bone grafting, a process that can take 6 months or more. The All-On-4 Dental protocol requires no bone grafting for most patients, with a success rate that is equal to or better than traditional implants. How do I know if I'm a candidate for All-on-4 dental implants? We utilize cutting-edge 3D imaging techniques to expertly assess which treatment option(s) will be right for you. Using the 3D image of your jaw, we evaluate bone quality, volume & quantity. Most patients with or without teeth are candidates for the All-on-4 procedure. We also perform virtual surgery before you are in the chair - meaning you will be able to see your results before the surgery, and each pre-planned step will be executed with the utmost precision. How is the All-on-4 procedure different than normal oral surgery? We use computer guided planning & perform computer guided surgery, all before your procedure, which allows the highest level of precision, saves you time in the chair, and allows for your teeth to be pre-manufactured. This means there will be no need for a Lab. & no wait after your procedure; You will leave with your new teeth on that very same visit. This technique can be used for both patients with some remaining teeth or patients with all teeth missing. What's more, with our prefabrication method, we are able to include a hidden metal framework in your bridge, making your new teeth much stronger and long-lasting. If we find it is necessary (due to lack of bone quality or quantity), we also will use 6 implants instead of 4 if necessary, to ensure the strength and longevity of your new teeth. Will people be able to see the line between the fixed bridge and the jaw bone? Our method eliminates this ‘line’ in most patients. As part of your initial examination we evaluate your smile to determine where the junction of the fixed bridge and the jaw bone will be. During the All-on-4 procedure, we make adjustments to ensure that your new smile is not too "gummy" and that the edge of your bridge is completely hidden. The All-on-4 technique is fairly new, and not all dentists are comfortable performing this procedure. At Indianapolis Dentistry we are All-on-4 specialists, and have been performing the procedure since it became available. Other more traditional treatments can sometimes be a viable option as well. In some cases, All-on-4 is a better treatment option. When you come in for a consultation, we evaluate your condition and make a custom diagnosis to see what option/method is the best treatment for you. Does the All-on-4 oral surgery procedure hurt? The All-on-4 surgery is virtually painless. After the numbness wears off, you will experience a little swelling and soreness that will last a few days. Many patients return to their normal routine 1-2 days after their surgery, and this time is needed not usually because of pain, but because they need to adjust to the presence of their new teeth, as it may affect their speech slightly. What can I eat after the All-on-4 Procedure? Because of the hidden metal framework we are able to include in our prefabrication process, your new teeth will be strong and stable. You will be able to eat most foods right away (except for hard, brittle or chewy foods), and you will be able to return to a regular diet within 6-10 weeks. How long does an All-on-4 Procedure take? After your initial consultation and diagnostic procedures, your implants and new teeth will be placed all in one appointment, even if you need extractions. With All-on-4, you arrive at our office with bad (or no) teeth, and leave the very same day with a beautiful set of fixed, functional teeth. What is the success rate of the All-on-4 Procedure? Published studies show a 98.2% success rate when using the All-on-4 technique in the lower jaw. Other studies show a 97 to 98% success in the upper jaw for the same procedure. Occasionally, an implant will fail. Knowing this, we carefully evaluate bone quality and quantity prior to your procedure, and will place six implants if we feel it is a necessary precaution. Integrative Dentistry, like Integrative Medicine, seeks to meld the best practices of traditional/allopathic knowledge and medicine with the more recently recognized alternative practices to traditional care. The results of integrative/holistic care is desired to be less invasive, less reliant on pharmaceutical therapy, involves less radiation and seeks to identify root causes of disease rather than to mask or only treat the symptoms. Integrative Dentistry considers the material that is used to restore teeth and mouths, the occlusion involved in such restorations and how it affects the TM joints, and musculature of the face and head. We not only want to identify ‘toxic’ materials and avoid or minimize exposure, but also identify materials that may be poorly tolerated by certain individuals who are immunocompromised or ‘high reactors’ to material that may not bother another. A truly integrative dental experience assesses not only the health of teeth and gums, and what lies within the mouth but considers the overall health of the individual and how it can be affected by conditions of health or the lack of health as it may exist in the mouth. This means that the function of the TMJ’s (temporomandibular joint) are considered, the ability to adequately chew an appropriate diet with the existing teeth and/or dentures, assessment of how a malocclusion (poor bite and jaw position) could affect breathing, neck posture, sleep patterns (apnea) in an adult, and poor oxygenation in children that affects growth, metabolism, and cognition. Head, neck, and TMJ pain are also important considerations and a common occurrence in patients suffering from poor health that is often easily remedied and addressed by an experienced holistic practitioner. As a certified NMD, naturopathic medical doctor, Dr. Reese also relies heavily on nutraceuticals, homeopathics, and nontraditional therapies such as ozone applications for tooth, gum, and bone infections. Other nontraditional therapies include laser therapy for cavity removal, disinfection of cavities and root canals, and muscle and joint pain relief. Dentures, a last resort or a new beginning? If you’ve been told that you’re a candidate for dentures it may seem like a last resort, but it can be a new beginning! Despite what you may have experienced, dentures can be deceptively natural and there are many options. Never go without your smile! Immediate dentures are custom-made prior to removing your teeth and delivered the same day your teeth are removed. Still have good teeth? Combination dentures are useful when it’s beneficial to keep and restore some teeth. No more dentures that slip and slide! Get secured dentures with “All-on-4” implants that utilize implants to secure the denture. Implant dentures like All-on-4, locator bar, and mini-implants have been a blessing for those who have struggled with conventional dentures. Dentures are secured in place, which has a dramatic improvement on chewing, your laugh, and your smile. Call Indianapolis Dentistry today! Unlike ‘denture specialists’, we will personally create the smile and fit that is crucial to ensure a successful for outcome for the you, the patient. Indianapolis Dentistry, is located just north of Greenwood, Indiana in Indianapolis, five minutes south of I-465 on US 31 between I-65 and Highway 37. Do you look forward to going to the dentist? Up to 80% of all adults have a fear of going to the dentist. Some may even say they hate going to do the dentist and 50% of people don’t even go. How to overcome your fear of the dentist? The easiest way to be more comfortable at the dentist is to find a dentist who ‘caters to cowards’ and tell them that you’re scared and ask for some form of sedation. Pill sedation is where you take a pill to relieve the stress of being at the dentist and to help you forget your visit. At Indianapolis Dentistry we dispense the medicine directly so there is no pharmacy to visit. Gas sedation uses nitrous oxide to help you relax during dental treatment and sometimes is used in conjunction with IV sedation when needed. It’s common name is laughing gas. IV sedation allows the dentist to precisely control the level of sedation so that you can answer questions when needed or to even sleep through your next dental visit or oral surgery. Call 317-882-0228 or use the “Request an Appointment” button on this page to request an appointment and be sure to ask about our insurance and financing options! There are many ways to improve your smile from whitening your teeth to a full smile makeover. A lot of the time it depends on your reason for wanting to improve your smile. Why improve your smile? Some people choose cosmetic dentistry in order to fix a tooth that was damaged as a child or to change the color of a tooth or to straighten some crooked teeth. Many times people find that cosmetic dentistry helps them to have more confidence and experience more positive self esteem. How would it make you feel? What are some of the things I can do to improve my smile? One of the most common ways to get a complete smile makeover is veneers, which are like a facelift for your existing teeth. Snap-On Smiles is a similar option, but they literally just snap on. Clear, ceramic braces and clear aligners like Invisalign are two great ways for adults to adjust their teeth to look more straight over time. This is a great option if you have crooked teeth. Sometimes adding or replacing tooth material using bonding or exposing or reducing teeth through gum contouring can make a huge difference to your smile and can be done same-day. Yes, we have partnered with companies to provide two different types of financing options. You can click to apply using the buttons on the right side of this website. We are insurance friendly and will file all dental insurance claims with your insurance company, but we are not an in-network provider. This allows us to provide the best service possible for you. How Can I Avoid Dentures and Bridges? While dentures and bridges are a fine and acceptable form of dental treatment, alternatives to dentures and bridges may be a better long-term solution for your dental health. Why avoid dentures and bridges? Traditional, unsecured dentures allow your lower jaw to recede over time and bridges require removing material from nearby healthy teeth in order to be secured properly. What are the best alternatives to dentures and bridges? Depending on your body’s needs and your financial investment, there are several options starting from secured dentures all the way up to a full-mouth restoration with dental implants. Will I ever have to go without teeth? No! Teeth can be replaced the same day through a variety of ways. Some replacements are temporary, but you will never have to go without your smile. No one has to know! What if I already have dentures or a bridge? It’s never too late to improve your oral health. We’ve worked with many people who have been told they aren’t a candidate for dental implants. Let us give you a second opinion. An Indiana State press release on new appointments was released on October 27, 2015 by Matt Lloyd, Deputy Chief of Staff-Communications and Strategy for Governor Mike Pence. The press release titled, "Governor Pence Names Appointments to Various Boards and Commissions", states that Dr. Ted Reese was appointed to the State Board of Dentistry. Dr. Reese was appointed to serve a three-year term on the Indiana State Board of Dentistry through October 31, 2018. The state board is a Indiana Professional Licensing Agency responsible for overseeing the practice of dentistry in Indiana. This includes dental anesthesia as well as hygiene. The goal is dental implant planning that supports predictable results, enhanced precision while improving your overall experience. How does Guided Implant Surgery work? 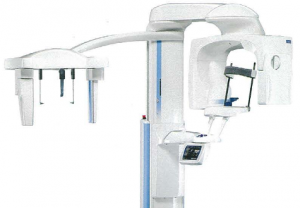 A 3D cone beam image is used to very precisely measure the area where we want to place the dental implant. Then we make a computer-manufactured plastic template to very accurately guide the actual placement of the implant during surgery. This takes all the guess work out of placing dental implants. It is giant leap forward in providing safer, more predictable, and more comfortable replacement of missing teeth. Guided dental implant surgery using 3D cone beam is quickly replacing the older methods of unguided 2D surgery in leading implant teaching institutions. One popular advantage of computer guided implant surgery is the immediate loading of the implants at the time of placement. In this case, a surgical guide is then created for the procedure that will only allow implant to be placed in the predetermined locations. Why use Guided Implant Surgery? The incorporation of virtual engineering into dentistry and the digitization of information are providing new perspectives and innovative alternatives for dental treatment modalities. The use of digital surface scanners with surgical planning software allows for complete digital treatment planning. Guided dental implant surgery can now performed based on a complete digital surgical plan combining the information from a 3D cone beam computed tomography scan and a virtual simulation. Respected dental implantologist, Dr. Reese has begun offering patients Z-Systems Zirkolith Ceramic Dental Implants, providing even better, more advanced care for patients around Indianapolis. 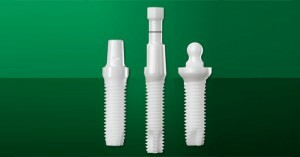 Dr. Reese has announced an offering to our most discerning patients: Z-Systems Ceramic Dental Implants. In an effort to provide an even greater level of care for all patients, Dr. Reese has become one of a select group of doctors to offer Z-Systems ceramic dental implants (also called zirconia implants and zirconium implants, zirconium oxide implants, and metal-free dental implants). By offering metal-free implants, Dr. Reese has shown an even greater level of commitment to providing the best possible care to all current and future patients. Through continuing education and advanced research, Dr. Reese has positioned Indianapolis Center for Implant and Cosmetic Dentistry at the forefront of dental care in Indianapolis, Indiana. To learn more about Z-Systems Zirkolith ceramic dental implants and how they are helping people all across the world enhance their health and their smile, please contact Dr. Reese at 317-882-0228. My bottom gums hurt after I tried eating an apple. I think they even bled a little bit. It really hurts for me to take a bite into an apple. Why does eating apples hurt my gums? The apple peel on the outside of the apple is pressing up against your gums, causing pressure and pain. You may be allergic to apples (or a chemical sprayed onto the apple). Let's tackle each one individually to see how to prevent gum pain when eating an apple. We'll focus on the pain that comes from the apple peel pressing up against your gums because there is little that can be done if you're allergic to an apple. Cut the apple up into small pieces - instead of biting directly into the apple, cut it up first so that your gums don't have to push as hard into the side of the apple into the peel. Consider mushing or blending the apple first - essentially this removes any hardness from the apple and is defacto making your own applesauce. Wash the apple with soap and water before eating - you may be allergic to a chemical that has found it's way onto the apple rather than the apple itself. Visit your local dentist to review your gums - it could be that you have sensitive gums, Gingivitis, or some form of periodontal disease that makes your gums swollen, sore, or sensitive. If you're in the Indianapolis area and you suffer from sensitive gums, consider Dr. Reese at Indianapolis Dentistry. He's a holistic, sedation dentist who treats people who are afraid of the dentist. Call 317-882-0228 to setup an appointment so you can get back to eating apples like nature intended. If you want a whiter, straighter, more perfectly shaped smile, porcelain veneers are an attractive option for a beautiful smile. As a cosmetic dentist in Indianapolis, Dr. Ted Reese design custom porcelain veneers according to each patient’s unique skin tone, face shape, existing dentition, and personal preferences. At your initial consultation, Dr. Reese will review your unique situation and create a treatment plan. Once accepted, you'll return to our office for the first clinical visit. We offer Care Credit and file most insurances. Some patients prefer Snap-on Smiles, which are an ultrathin style of veneer that requires no tooth preparation. Snap-on Smiles look natural and beautiful if used in the correct case. However, they aren’t the best option for every patient. As your trusted cosmetic dentist, Dr. Reese will provide professional advice so that you can make a wise decision about your porcelain veneers or Snap-on Smiles. Why choose Indianapolis Center for Implant and Cosmetic Dentistry? Porcelain veneers can give you a natural look and beautiful new smile. At Indianapolis Center for Implant and Cosmetic Dentistry, our cosmetic dentist and staff use dental veneers as a foundation for dramatic smile makeovers. View our cosmetic smile gallery and then contact our office to schedule an appointment. If you've been waiting for a reason to do it, now's the time. Dr. Reese has helped hundreds of people like you. Dental onlays are a form of tooth restoration on the outside of a tooth using tooth-colored fillings. Unlike cavity fillings that are placed using a tooth-colored resin, onlays are more like dental crowns, and are made in-office using advanced 3D technology. Why would a person need to get a dental onlay versus a traditional filling or crown? When a tooth suffers damage from decay or by accident that is too extensive to be treated with a simple filling, but not extensive enough to need a crown, onlays are ideal. However, for cracks in the teeth, porcelain veneers may also help. How is a dental only placed at Indianapolis Center for Implant and Cosmetic Dentistry? Getting an onlay is very similar to having a crown placed, but with much less of your natural tooth structure having to be removed. Our goal is to preserve as much of your natural tooth structure as possible. Onlays are a more conservative way a tooth can be restored. Why choose Dr. Reese for your dental onlay treatment in Indianapolis? Dr. Reese takes advantage of the advanced ceramics and adhesives developed by modern dental engineering. These new dental technologies allow the use of smaller onlays that work more like your own teeth, preventing decay and further damage. Dr. Reese is a biological dentist that uses biocompatible materials and practices biomimetic (minimally invasive) dentistry. Contact our office for an appointment today. At our leading practice of cosmetic dentistry in Indianapolis, Indiana, you'll see the difference. From our dental technology we use for your ultimate comfort to an efficient appointment to the lasting results, get the smile makeover you deserve. Dr. Ted Reese is a cosmetic dentist in Indianapolis that invests in the training and tools to provide the best care modern dentistry can provide. Choose Indianapolis cosmetic dentist office, Indianapolis Center for Implant and Cosmetic Dentistry. View our smile gallery to evaluate some of the smile makeovers Dr. Reese has created through techniques like porcelain veneers, dental implants, and custom dentures. We have helped thousands of people get beautiful smiles. Indianapolis Center for Implant and Cosmetic Dentistry treats patients of all ages. Dr. Reese offers a full range of services from general dentistry to cosmetic dentistry, as well as dental implants, TMJ therapy, and the treatment of gum disease. Our staff will to listen to your goals and concerns and develop a personalized treatment plan to help you get the smile you've always wanted. Seeking a cosmetic or restorative family care dentist in Indianapolis? Contact us for an appointment. There are many types of floss on the market, so how do you know what is the best floss for dental implants? Generally it is highly recommended to use unwaxed tape or implant-specific floss in order to protect the tissue surrounding the implant. Alternatively for a bar-retained prostheses, full fixed retained prostheses, or wider interproximal spaces, a floss threader or a specialized floss that has a built-in threader is necessary. How to Floss a Dental Implant? To floss the implant, use dental tape, which is a wide thread similar to dental floss composed of fine, short, silk or synthetic fibers. It's used just like floss to clean interproximal spaces and between contact areas of the teeth. Insert the floss in contacts on both sides of the implant. Wrap in a circle and crisscross in front, switch hands, and move in a back-and-forth motion in-between the dental implant and gumline, which is highly susceptible to disease due to plaque. Antimicrobial mouth rinses may be recommended, especially if inflammation is present or if you have dexterity problems and hard-to-reach areas. If you are prone to inflammation, the use of an antimicrobial rinse, in conjunction with a rubber tip stimulator, may be recommended to prevent bacteria build-up. What Other Recommendations do you have for Dental Implant Oral Health? Using oral irrigators with implants for oral hygiene reveal that Waterpik Water Flosser is the only oral irrigator to date to be proven safe and effective with dental implants. A study was conducted to compare rinsing with 0.12% CHX to using a Waterpik oral irrigator with 0.06% CHX. The irrigation group using the soft rubber tip at lower pressure was 87% more effective in reducing bleeding and three times more effective in reducing gingivitis than the rinsing group. Another study of oral irrigation and floss revealed that the Waterpik Water Flosser with the standard tip with three bristle filaments used at medium pressure around implants was 81% more effective in bleeding reduction compared to 33% using floss.16 These specialized tips are very effective for implants and to deliver anti-microbial rinse around difficult-to-reach prostheses (All-on-4, full-fixed prosthesis, for example) in a prevention of peri-implant disease. Waterpik flossers like the Ultra Water Flosser, Waterpik PikPocket Tip, and Waterpik Traveler Water Flosser use water irrigation in conjunction with diluted non-antimicrobial rinse has proven to be extremely helpful for full-fixed and removable prostheses to remove daily biofilm and prevent inflammation if used on a daily basis. Waterpik makes a compact Traveler Water Flosser unit, which is my personal favorite to recommend ensuring patients continue their home-care routine at home and while on vacation.